Crisis management is a critical organizational function. How your internal team manages a PR crisis can make or break your brand. 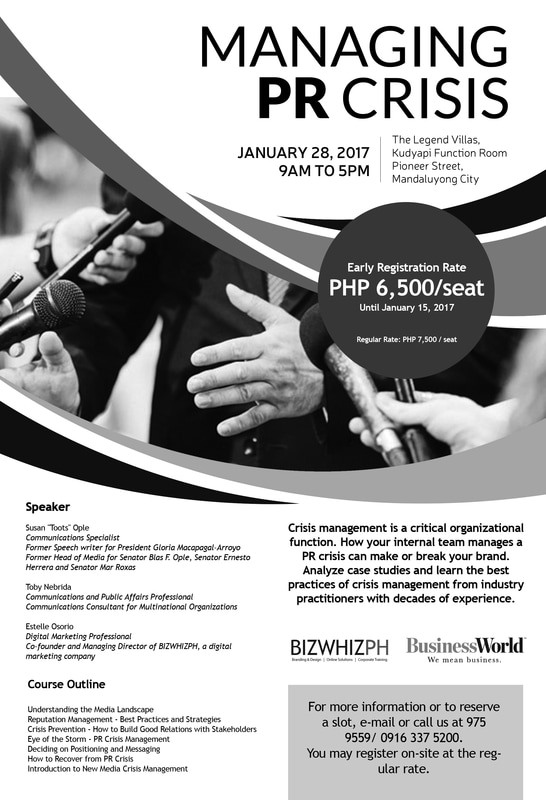 Analyze case studies and learn the best practices of crisis management from industry practitioners with decades of experience. For more information or to reserve a slot, kindly reply to this e-mail or call us at 975 9559/ 0916 337 5200. You may register on-site at the regular rate.